When I first decided to write a book about global warming I knew it could not be science centered, primarily because I am not a scientist or even much inclined towards scientific enquiry. In fact "climate change" is the first scientific subject I have ever felt passionately about. Even the passion I have for the subject has little to do with "the science" in fact my passion about global warming is driven by a deep indignation towards the science. Admittedly not the most worthy of motives to pursue a topic. Rather than approaching the topic from a strictly scientific basis I decided to write about global warming in the same way I have investigated it over the years using just plain old common sense. This is actually quite an easy task since common sense is something sorely lacking in the discussion on global warming. Everything about the global warming discussion from the science to the politics of the issue makes virtually no sense at all, when properly defined. The global warming agenda has little to do with critical thinking but instead attempts to redefine reality itself. A goal tried many times over the ages but which must ultimately fail. My sincere hope is that in some small way I might help achieve the ultimate demise of this largest of all charades. Initially I was very much agnostic on the subject, if anything I tended to believe that what I was hearing about global warming was true. By chance and without much initial enthusiasm, but due to just a smidgen of curiosity I began to investigate and quickly developed a healthy degree of skepticism towards the entire global warming "debate." A debate that I was told from the beginning of my inquiry was "over". Or so say the proponents of the theory. That in itself does not make sense and should be the first indication that something is seriously wrong to any objective inquisitor of the subject as it was me. In science, the debate is never over, skepticism and the questioning of the "known" is the very essence of scientific inquiry. The claim that any scientific discussion "is over" is unscientific in itself. Those who employ such tactics are not truly scientist at all, they are ideologues masquerading as scientist. The sad truth is that there are far too many of them in today's society. After all if those who propose something to be true are unwilling to defend that which they proclaim to be true, then is that not the very definition of an indefensible position? The sad truth is that the climate change cult is not interested in finding the truth. Their goal is, put simply, to create a narrative in order to advance an agenda. "If you control the narrative, you don’t just control what gets reported. You control what people see and hear." Controlling the narrative in modern society is a very powerful tool. It is not that we are not smart, mankind has never been more educated, and it certainly is not that we lack of information, we have never had more. The simple truth is that we are lazy, apathetic and of course just too busy. The shear amount of readily available information communicated at an ever increasing pace makes it easy to just "grab" onto something and go with it. This is why narratives are so easily digested by a busy and therefore less inquisitive public. A summarized thirty second sound bite and we are set to go, right? Talking points rule the day. The problem with narratives is that they can be manipulated to.... well manipulate. Another problem with narratives is that they can be true, or they can be false or more often than not they are composed of some truths that are "spun" to influence people. Regardless, once you control the narrative you not only control what people see and hear, you set the agenda. If you are capable of setting the agenda with an accepted narrative then you truly can redefine reality. Well at least until reality, as it always does, overwhelms its detractors. One thing that narratives are not, is science. Science, as much as anything, is about proving the unproven. Or disproving the accepted. A narrative by its very definition is a story and that story can be true, or not. A narrative would be something like "the science is settled." The truth is that science can never be settled. Mankind's burning of fossil fuels is generating excessive atmospheric carbon dioxide which is warning the Earth. This warming will cause terrible consequences for mankind and the planet. The solution to the problem is for man to eliminate or greatly reduce the burning of fossil fuels. Have I left anything out? Remember this is not about science, this is a narrative about the science of global warming. Like any good narrative though there must be sub narratives to reinforce the main narrative. Kind of like chapters in a book that stitched together tell a story. People who disagree with the main narrative, particularly scientist, are either in the employ of a fossil fuel concern, incompetent, blinded by right wing ideology, or in a state of psychological denial. The idea that people may seriously question the premise behind the main narrative is just not acceptable. The fact that skepticism is the very foundation for science is totally thrown out the window when it comes to climate change. Like the proposition that "the debate is over", the idea that there is such thing as "settled science" is unscientific. "Denying" any aspect of the main narrative is derided. Any "deniers" are slandered and held up to be humiliated, regardless of their reputation, background or most importantly any facts they may put forward to counter the narrative. WE MUST ACT NOW! The crisis is so great that failure to act is equivalent to inviting world wide Armageddon-someday. This is a very important sub-narrative! The more the public can be made to believe that there is a crisis the more likely they are to believe and follow the suggestions and recommendations of those who claim to know the solution. After all if you are told that your child is dying and only an emergency surgery is going to save them, who is going to waste time waiting for further tests and a second opinion? Act now or your baby will die!-someday. There are countless sub narratives which populate the global warming debate, "the debate which is over". But a narrative is not a fact, a narrative is not science. A narrative is a tool used in this case to garner acceptance to an agenda actually many agendas but agendas like narratives are not science. When it comes to such matters, no matter how passionate the argument, no matter what level of education the proponents, no matter what institutions of authority back it up, when it comes right down to it something is either true or it is not. Truth and truth alone is the final arbiter of reality. The term "unprecedented" is another narrative thrown around in the climate change discussion with great regularity. It is done so with such disregard for the truth that to the casual and uninformed observer it seems as if the natural world is "turning" on us with a fury for "polluting" the environment with carbon dioxide. All these unprecedented events seem to be a daily occurrence in the climate change discussion. A recent example of advancing this narrative was "Suprerstorm" Sandy. The climate change cultist leached onto this terrible yet by no means unprecedented storm and the resulting tragedies associated with it to advance the narrative that "climate change" was making storms worse. But in spite of the hyperbole meant to scare little children and alarm the populace, it just isn't so. The so called Long Island Express hurricane of 1938 was a far more powerful and destructive storm than "Superstorm" Sandy. And the 1938 storm did it without the benefit of CO2 induced " climate disruption". The maximum sustained winds of Sandy which were recorded by far more sophisticated and wide spread monitoring stations were 83 kph (95.5 mph) which was also the highest recorded wind gust. By comparison The Long Island Express had recorded sustained winds of 121 mph with recorded gusts of 186 mph! So Superstorm Sandy compared to the storm of 1938 was really not so super. Further, the storm surge for Sandy which caused so much damage was 13.88 feet, while for the Long Island Express it was 17 feet. By nearly every measure the Long Island Express storm of 1938 as well as other storms that struck the same general area going back centuries were far stronger than the narrative of this "super" storm. But perhaps the most important statistic of all is that Sandy was responsible for 149 fatalities. However the Long Island Express which came ashore in the same general geographic location but in a far less densely populated time period, 1938 versus 2012, killed 700 people. To listen to the alarmist, as the result of our (mankind's) irresponsible actions of "polluting" the Earth's atmosphere with carbon dioxide we have created more severe and destructive hurricanes. This is simply not true. The hurricane coming out of Al Gore's smokestack of his science fiction docudrama is simply a propaganda ploy to advance the narrative. Unlike science there is one area of inquiry that I have always had a passion for, history. In a later chapter we will look at how history helps disprove the "climate change" narrative. But because the narrative is so fused into the scientific and academic community, even when history undermines the narrative of man made global warming, the academic community ignores the obvious in order to either promote their agenda. Or they must simply promote the narrative in order to keep the gravy train of climate change funding flowing. "CATASTROPHIC CLIMATE CHANGE ENDS BRONZE AGE CIVILISATION". Just consider the implications of the title itself. The late Bronze Age which the study is referring to occurred 3200 years ago. What was this "catastrophic climate change" that occurred millenniums prior to the invention of the internal combustion engine? By combining data from coastal Cyprus and coastal Syria, this study shows that the LBA crisis coincided with the onset of a ca. 300-year drought event 3200 years ago. This climate shift caused crop failures, dearth and famine, which precipitated or hastened socio-economic crises and forced regional human migrations at the end of the LBA in the Eastern Mediterranean and southwest Asia. A non CO2 induced climate shift which was responsible for a 300 year long drought. A drought so severe that it caused what in today's vernacular would be "climate refugees". In fact according to this archaeological study this "climate shift" over three thousand years ago caused the collapse of entire civilizations and the disruption of other civilizations as these "climate refugees" spread out over the Eastern Mediterranean and southwest Asia. All of this without the benefit of increased atmospheric carbon dioxide. While the climate change cultist turn every weather event into an "unprecedented" catastrophic phenomena, history shows just how naive a theory this truly is. Truer words were never spoken. There is obviously nothing man did three thousand years ago which could have caused this "catastrophic" change in the climate system. The article however can not end on that note of objective reality, it concludes this way. The study serves as a reminder for current generations to address climate change, especially in the Mediterranean, he said. The question that comes to mind is how could the inhabitants of the Late Bronze Age have addressed the catastrophic climate change that so disrupted their lives and societies? Obviously they could have done nothing because the "climate shift" was a totally natural occurring event beyond any human control. Yet we are told today that virtually any "climate disruption" in the modern world is the result of mankind's carbon dioxide "pollution". Today's climate change cultist would have us accept that any "dangerous" change in the climate is somehow caused by mankind while simply ignoring all historic evidence that climate change both beneficial and destructive is a natural occurrence. A simple common sense question is obvious. With volumes of evidence showing that the Earth's climate has always been in a state of change, how can anyone differentiate that which is natural from that which is "man made"? Obviously it can not be done. That even if you accept the premise that mankind is "dangerously" changing the climate in the first place. In the coming chapters I hope to weave another narrative. A narrative that is also based on the science of the global warming theory, but which is far less dire. In fact based on my layman's study of the subject over the past several years, I have come to believe that man's burning of fossil fuels is not only one of the reason for a quantum leap in the advancement of mankind, it is perhaps the greatest benefit to the ecosystem of our planet that mankind somehow stumbled upon. 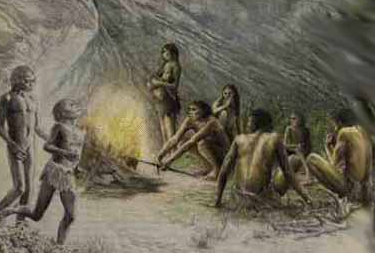 Of course then again we could just go back to burning trees to stay warm, but where would you plug in your I-Phone?